Camille Egdorf caught this rainbow on a 6-day float trip on the upper Zhupanova River in Kamchatka. Christiaan Pretorius photo. Much has been written about trout fishing in Kamchatka over the past 10 years. The destination has garnered a lot of media attention because it offers clearly the best trout fishing in the world, but part of that story since 2008 was that with direct 4-hour flights from Anchorage to Petropavlovsk, travel to Kamchatka was also convenient. However, Yakutia Airlines has recently announced it will not operate its Anchorage-to-Petropavlovsk route in 2019, so fly fishers who have previously booked trips to world-famous rivers like the Sedanka, Ozernaya, Zhupanova , the Two Yurt, and others, are working with their outfitters to find alternate routes to Russia's Far East. The best routes are now direct flights from Los Angeles, Atlanta, or JFK to Moscow, and then an immediate connection to Petropavlovsk. According to William Blair who operates The Best of Kamchatka, the new Moscow route doesn't require an overnight stay on the way to Petropavlovsk and is more dependable in terms of missed flight and connections. Yakutia's Anchorage to Petropavlovsk flight happened just once per week, so if you missed your flight due to poor weather coming out of your fishing camp, you could end up staying another week in Petropavlovsk. Justin Miller who oversees Kamchatka travel through The Fly Shop (flyshop.com) says the Moscow flights are also about half the price. Airfare through Anchorage averaged $3,200 per passenger but flights through Moscow are about $1,800. He also said The Fly Shop was able to add an entire day of fishing to each of their programs due to the availability of daily flights. "We look at is as a good thing, because you're getting an extra day of fishing in Kamchatka, and the airfare is much cheaper. It's definitely a win-win for trout fishermen." 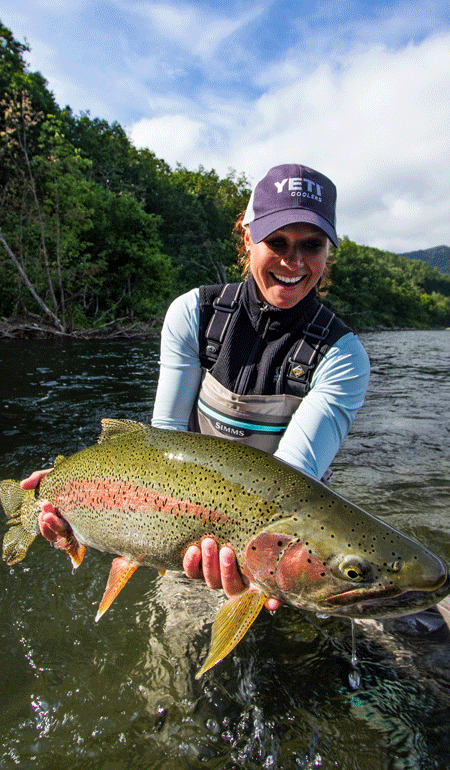 Read more about Kamchatka, here: //www.flyfisherman.com/editorial/yeti-kamchatka-steelhead/152145 . Read more about fishing and traveling to Kamchatka, here: //www.flyfisherman.com/editorial/russian-fly-fishing/151766.